Turkey’s Religious Affairs Directorate (Diyanet) has removed from its Islamic Encyclopedia content by some scholars are affiliated with the Gulen movement, according to theology professor Ayhan Tekines. In a series of tweets, Tekines said Friday that Diyanet censored the encyclopedia’s online version, removing articles written by him and Suat Yildirim, a close associate of Fethullah Gulen, and also a theology professor. Tekines said the offer to contribute to the encyclopedia had been made by the Diyanet researchers and that he had penned 19 articles for the collection about various topics including hadith concepts, book introductions and prophetic medicine. Diyanet published its 44-volume Islamic Encyclopedia which included entries from over 2,000 scholars, as part of a prolonged project, in early 2014. 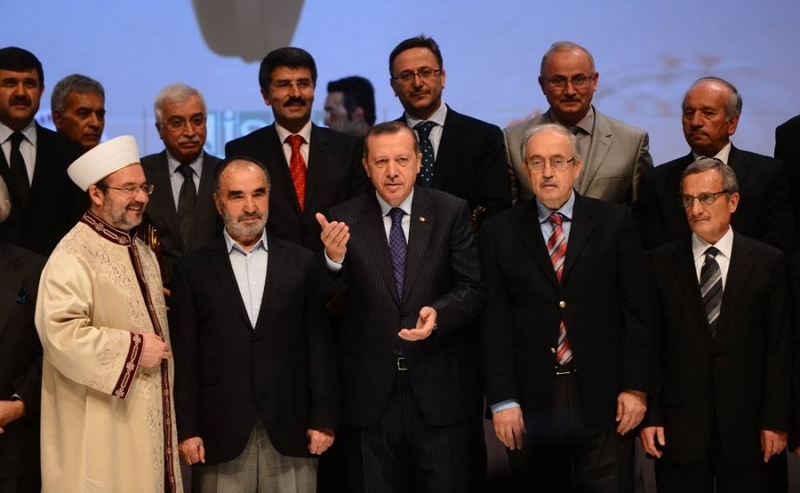 President [then PM] Recep Tayyip Erdogan as well as several cabinet ministers attended an Istanbul ceremony to announce the encyclopedia’s publication. Turkish government accuses Fethullah Gulen and his movement of masterminding the July 15, 2016 failed coup while the cleric denies involvement. Tekines worked as an academic at Fatih University until it was closed like 14 other universities as part of the government’s post-coup crackdown against the Gulen movement. Media reported earlier that Turkey’s Education Ministry decided to destroy at least 216,233 copies of math and science textbooks published by publishing houses affiliated with the movement.